This was a short little drawing lesson to introduce my very large group of first graders to some basic portrait drawing skills. 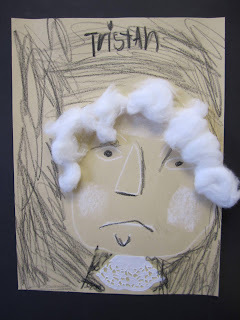 In honor of President's day we chose to draw George Washington. 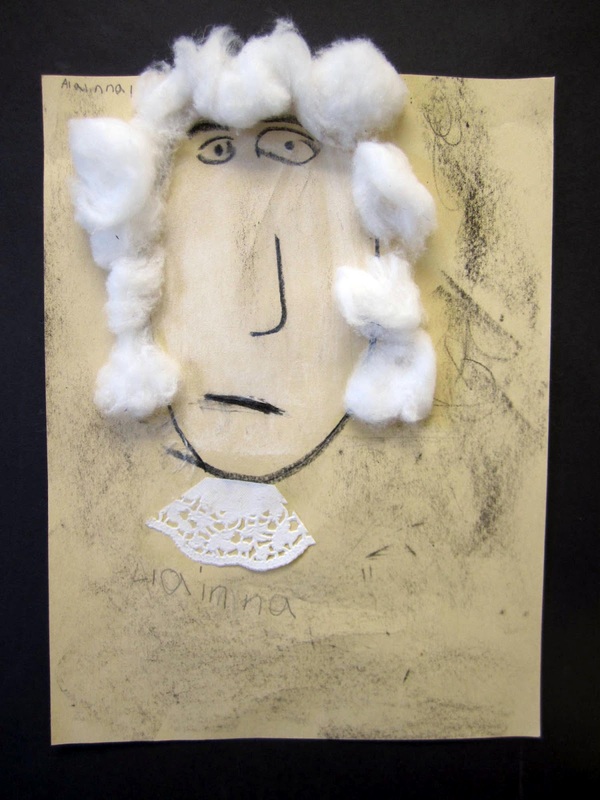 It was a lot of fun to see the personalities of the students come out in their drawings. 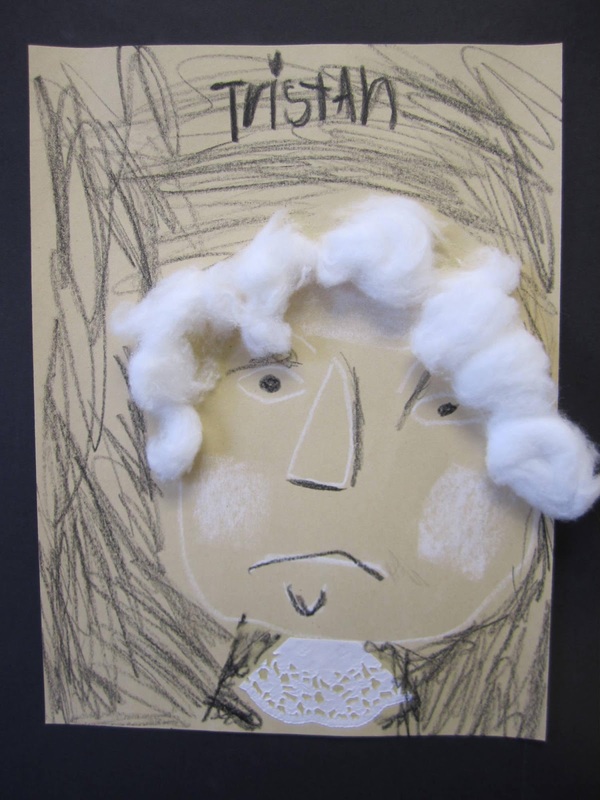 They tried very hard to demonstrate their new found skills of highlighting and shading, and they loved giving George a head full of cotton hair! 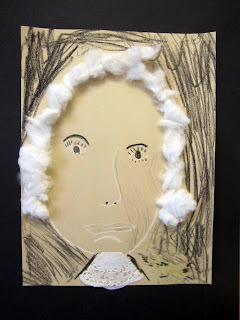 His lace collar is a paper doily! 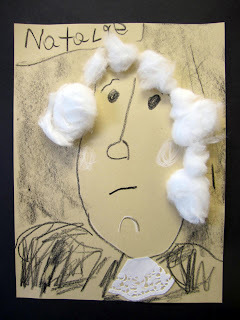 Happy Presidents day George! 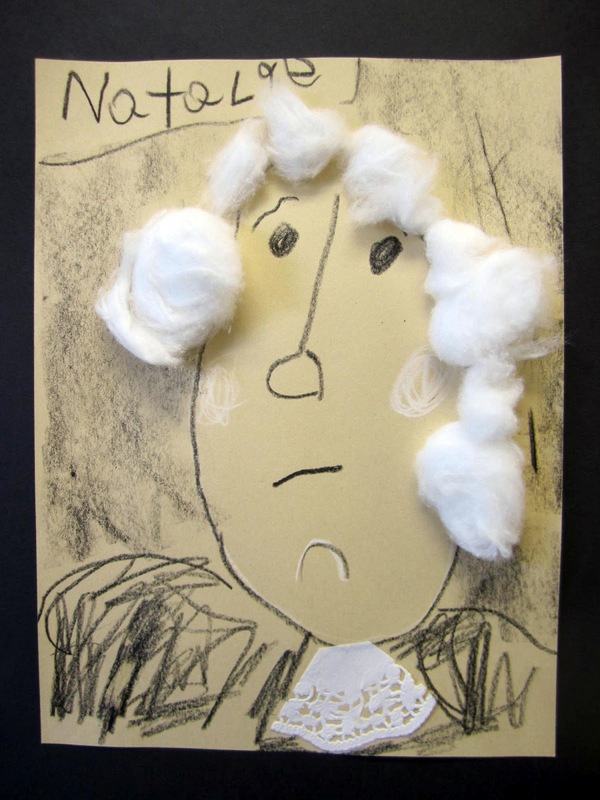 Labels: Portrait drawing with children. 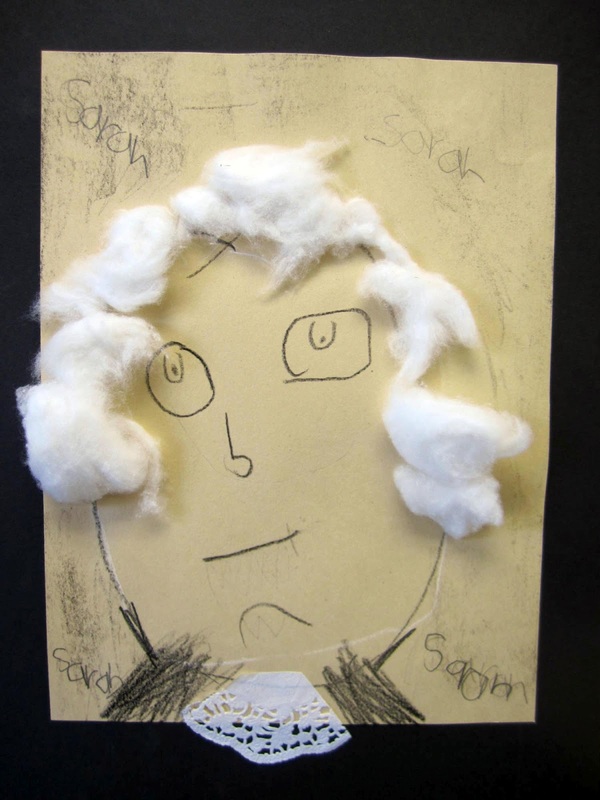 George Washington drawings. Highlighting and shading. Drawing with chalk with children. Mixed media project for children.